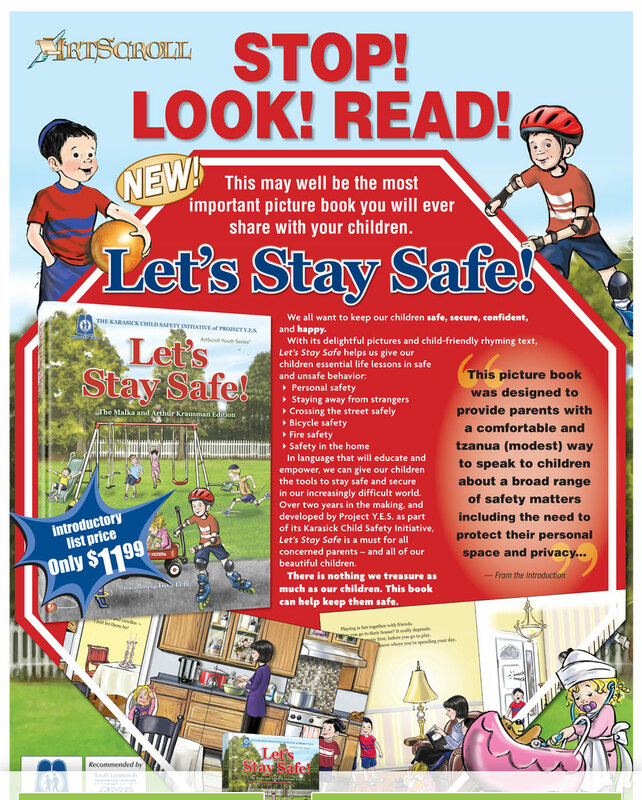 The retail price of “Let’s Stay Safe” is $11.99. We offer a 10% discount for online orders paid by credit card. All books are shipped domestically via USPS Priority Mail and should arrive within 3 - 4 days. or The Center for Jewish Family Life/Project YES 56 Briarcliff Drive, Monsey, NY 10952.